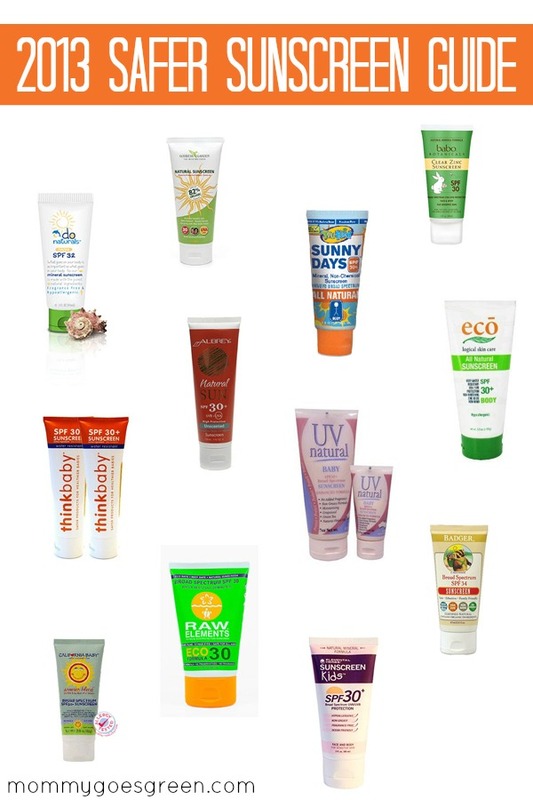 The Environmental Working Group released their annual sunscreen guide. The Safer Sunscreen Guide lists the beach and sports sunscreens, SPF moisturizers, lip balms and makeup that they consider to be the safest compared to other sunscreens. In addition to the chemicals EWG screens for, they recommend skipping high-SPF products and to avoid vitamin A. The difference in protection in negligible. For example, SPF 50 protects against 98% of sunburn rays and SPF 100 protects against 99%. Users of high SPF products tend to think that they are more protected and stay out in the sun longer and are overexposed. High SPF products have a higher concentration of sun-filtering chemicals and may pose a health risk. Retinyl palmitate or retinol, a form of vitamin A, may speed the development of skin tumors and lesions when on the skin in the sun. Unfortunately, over 20% of the sunscreens and makeup products with SPF also have Vitamin A. The EWG found 184 beach and sport sunscreens met their criteria. I was surprised to see 4 products from Coppertone although all of them contained Oxtinoxate, the most popular chemical used in sunscreens. It’s ranked a 6 (10 being the most toxic) and it’s noted: Estrogenic effects are noted in laboratory animals as well as disruption of thyroid hormone and brain signaling. Personally, I wouldn’t purchase a sunscreen with this chemical. I prefer sunscreens with titanium dioxide or zinc oxide (both rated a 2) or a mixture of the two. We’ve been using Badger sunscreen for years, I find it to provide great protection and be cost effective. I also keep California Baby on hand, it’s easy to find locally at Target or Whole Foods. That being said, there are others that have spent way more time and effort reviewing sunscreens and have come to different conclusions than the EWG on the safest sunscreens. 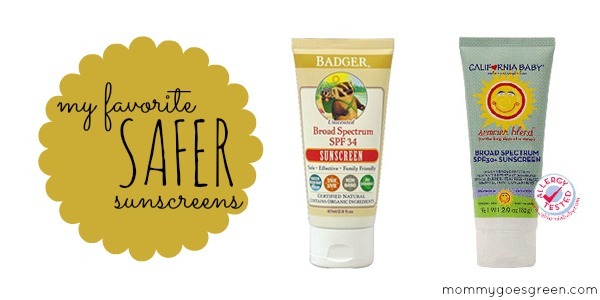 Check out SafeMama’s Guide to Sunscreens – she happens to love Badger, too! In the future, I’ll be talking about whether or not we will be using sunscreen at all. 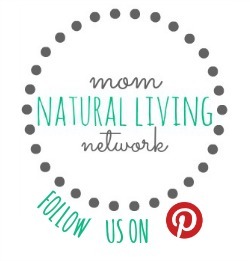 There are a lot of people in the natural living community who no longer do. Want to have the list handy while shopping? Download the FREE EWG Sunscreen Guide to your iPhone. Or if you donate $5, they will send you a wallet guide. Do you use sunscreen, what is your favorite? Have been using Hawaiian Tropic 30 and 50. Also Neutrogena spray. Now I am uneasy about ingredients and must look at other products.